Use this product in freezing temperatures or when fast setting of the mortar is required e.g. where rapid removal of form work is essential. 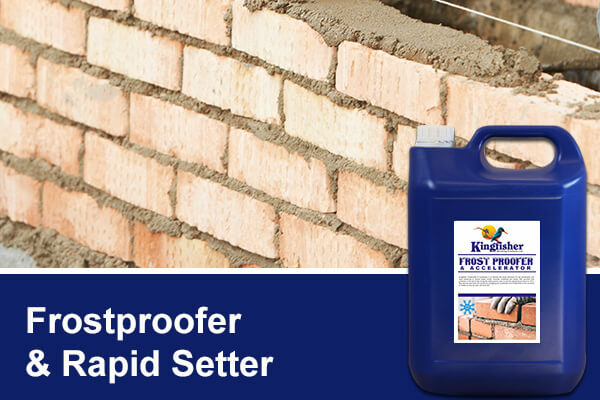 Kingfisher Frostproofer can be used in mortars or concrete and is fully compatible with Kingfisher Admix where improved workability is required. This product contains calcium chloride and is NOT suitable for use in reinforced concrete mixes.